This global brand is now a “Premium Sponsor” of the 76th Hahnenkamm-Races in Kitzbühel. 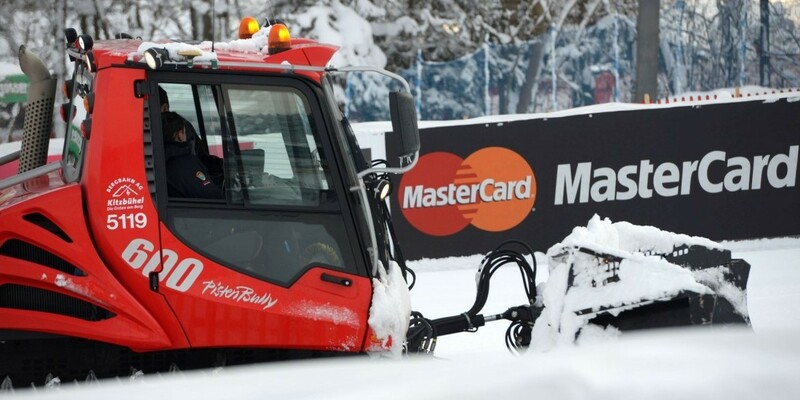 As well as their branding along the race course and in the starting and finishing areas, MasterCard is also providing the on-site contactless, cash free payment system. “Thanks to MasterCard, guests now have the opportunity to pay without cash at all important Touchpoints at the event. The Hahnenkamm-Races really do keep setting new standards in service quality”, says Michael Huber, President of the Kitzbühel Ski Club (K.S.C.). Enough just isn’t enough: MasterCard has countless surprises in store and is offering exclusive benefits at the Races. MasterCard Fastlane, for example, will get you through the entrance quicker. “We are happy to contribute to this event, making it unforgettable, as well as comfortably bringing you closer to the most legendary sporting city in the Austrian Alps’”, comments Gerald Gruber, General Manager of MasterCard Austria. What is more, you have the chance to win fantastic Kitzbühel-Packages online, such as a Meet&Greet with one of Austria’s skiing legends or the opportunity to accompany one of the world famous ski-stars on stage during the bib draw. Enjoy a spectacular view of the Races from the new MasterCard Stand, located directly at the Zielsprung (final jump) of the Streif.